Stirling efforts of volunteers and supporters at Bembridge Community Library (BCL) raised nearly £1,000 from the Christmas Draw and the Christmas Coffee morning held on Saturday 9 December – this was well in excess of the 2016 total of £838. Visitors were able to get into the spirit by joining in the festivities, and enjoying hot drinks and homemade cakes. 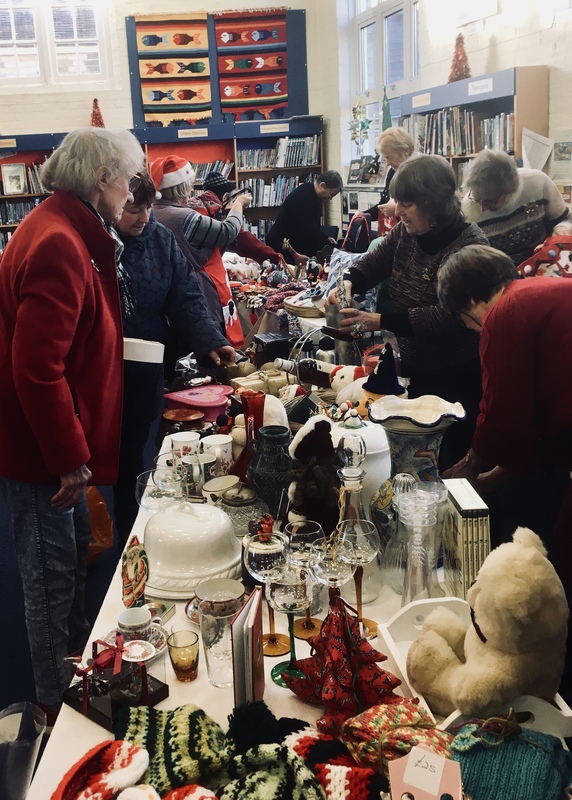 The Bembridge Recorder Consort and the Bembridge Bell Ringers provided the entertainment as visitors searched for last minute bargains at the bric a brac and craft stalls which included the latest colourful creations from the Bembridge Library Stitchers. Library users also took the opportunity to choose gifts and holiday reading from an extensive selection of nearly new books and jigsaws sold at bargain basement prices. Chairman of the BCL Committee Jonathan Bacon said it was an “absolutely excellent result”. The library, which was saved from closure six years ago by a small group of Bembridge people, has continued to thrive thanks to the dedication and commitment of its entirely volunteer work force and the support of Community Action Isle of Wight. It has grown into a self-supporting successful community hub, incorporating a versatile facility for meetings, and offering a free public internet resource, and providing the village’s only Tourist Information Point as well as sharing a building and close ties with the Bembridge Heritage Museum. Bembridge Community Library is open all day on Mondays & Fridays and on Wednesday & Saturday mornings.